Going to a show at Caroline’s on Broadway is much much, more than your typical night at the local comedy club. This is comedy at its best in every way! 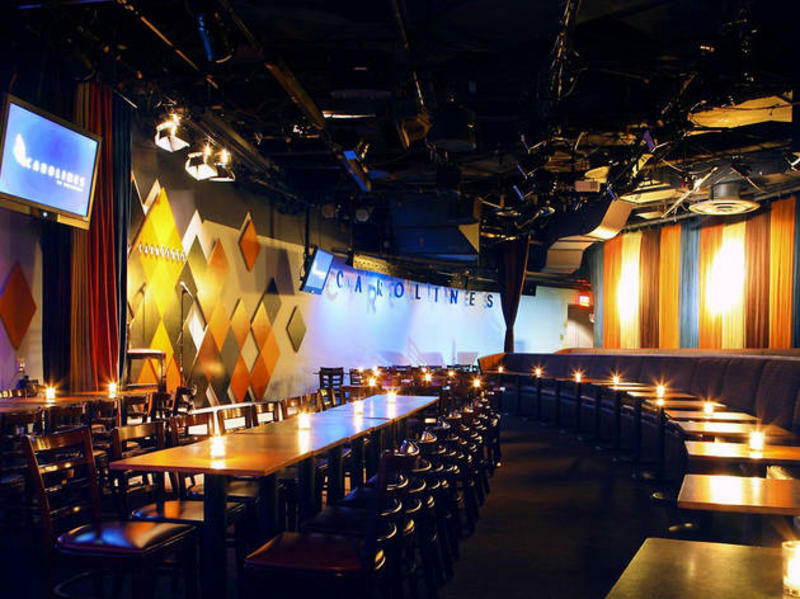 Located in the heart of NYC’s theater district and Times Square, Caroline’s delivers a top shelf, complete comedy experience that is equal the fun of any of the fine Broadway performances in nearby theaters. The entire club is cleaner and roomier than any I’ve ever seen, holding 300 guests. The food is better and the drinks don’t disappoint. Not the case in most comedy clubs. The menu is full of excellent choices and there’s something here for every palette. A personal suggestion… get to Caroline’s a little early. Their downstairs restaurant and bar, the Supper Lounge, usually opens by 6 pm and that, my friends, is where you’ll find the easiest glass of wine before the show. Might as well eat early, too. You might expect it easy to find an acceptable glass of wine or reasonable quick meal in the Times Square area, but it's actually easier imagined than done without a crowded, torturous wait and a disappointing selection. While the club itself is exceptional, the talent that performs here is the absolute best in the business. Your favorite stars from SNL, cable television and even YouTube sensations fill the schedule, and every performance offers an exceptional opportunity to enjoy yourself. You can literally pick a show from the schedule while blindfolded and never be disappointed! Nowhere else in New York can you see the caliber of talent showcased at Caroline's. Gilbert Gottfried, JB Smoove, Sinbad, Joel McHale, Tracy Morgan and Dave Chapelle are only a few of instantly recognizable names that have performed for enthusiastic crowds here. And even with 300 seats the venue is very intimate and confortable. On the night I attended, Jen Kirkman put on an exceptional show. Her unique sense of humor kept everyone engaged and much of the place was in tears at many points during the show. Jen is the author of I Can Barely Take Care of Myself, which became an instant New York Times Bestseller in April 2013. Her 2015 Netflix Original Comedy Special “I’m Gonna Die Alone (And I Feel Fine)” was named one of the Top 10 comedy specials of 2015 by Time Out New York, New York Magazine, and The Atlantic. Her most recent Netflix Original Comedy Special, “Just Keep Livin’?” is streaming worldwide. No matter who you come to see, you’ll walk away happier than when you got there. Going to a comedy show is truly one of the best possible escapes from a long hard day. You won’t be worried about paying rent or taxes while you’re at Caroline’s! The staff and performers are committed to ensuring you have a great time. Caroline’s On Broadway opened as a small Cabaret club in Chelsea in 1982. Quickly their stellar reputation and the ever growing crowds helped them expand into and hold court at their current location as one of New York City’s most popular hotspots and “America’s Premier Comedy Nightclub." To attest to Caroline’s stature in the world of comedy, they are the host and organizer of the annual New York Comedy Festival in November of each year. In 2017, The New York Comedy Festival celebrated their first year with new sponsor TBS. For one week, the best comedy clubs in Manhattan and Brooklyn work together to bring together the best comedy talent in a celebration of comedic genius. Some of the city’s most notable venues, including the Apollo Theater, Carnegie Hall, Town Hall and, of course, Caroline’s, host nightly performances by the best and most well-known in the industry. 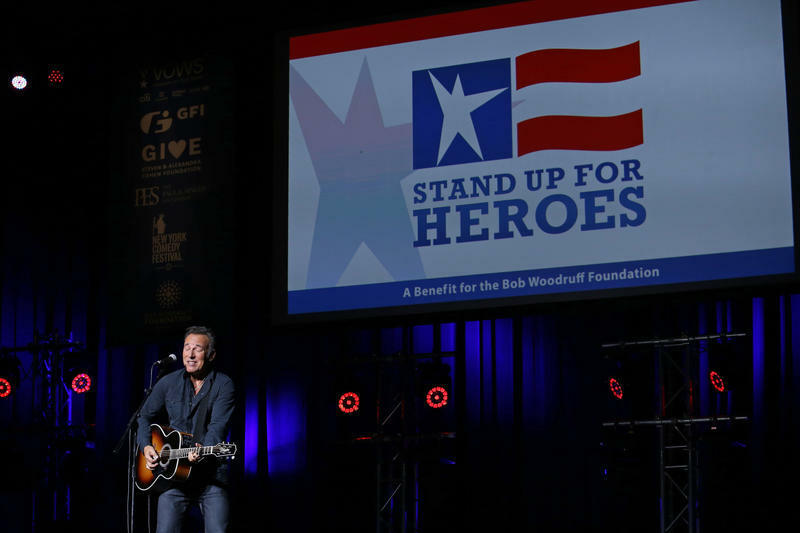 The annual Stand Up For Heroes Concert, which kicks off the Festival and benefits the Bob Woodruff Foundation, is held at Madison Square Garden. In 2017, Conan O’Brien brought his show to the Apollo Theater, for the week of the Festival. Jerry Sienfeld, Jon Stewart, John Oliver and Bruce Springsteen, among others, have all contributed to the success of this concert over the years. The Festival features the best and biggest names in comedy, but it’s a festival that encourages participation from attendees as well. 2017 was the first year for the TBS Comedy Hub and the Second City Pop Up Training Center. The TBS Comedy Hub serves as the official headquarters and offers attendees access to TBS curated programming, all-star talent and fan-forward experiences. The Second City Pop Up Training Center offers a great selection of improvisation, writing and stand up workshops for aspiring comics to hone and improve their skills. Caroline’s on Broadway has created and embellished an unmatched top shelf comedy experience. If you’re looking for a sure thing this is it! This is the real deal...the Madison Square Garden of comedy. If you didn’t know you were a fan of great comedy you’ll be convinced after a night at Caroline’s. And you won’t be able to stay away for long! Click Here to Visit Caroline's On Broadway in NYC Online!